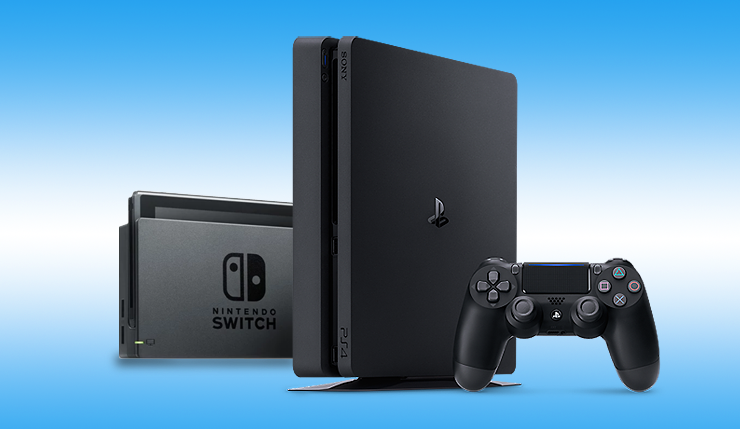 If you’ve been keeping up with the monthly NPD reports, you know the PS4 and Nintendo Switch have been battling it out for the #1 spot on a month-by-month basis. But which console was the ultimate winner in 2018? Well, thanks to the most recent quarterly earnings reports from Sony and Nintendo, we now have a definitive answer – PlayStation 4 is the winner, but only narrowly. During the 2018 calendar year, the Sony moved 17.7 million PS4s, bringing the console’s overall tally to an impressive 94.2 million units. The past quarter was particularly good to Sony, with them selling 8.1 million PS4s from the beginning of October to the end of December. This can largely be attributed to the hard-to-pass-up $200 Spider-Man PS4 bundle Sony released for Black Friday. By comparison, Nintendo sold 17.4 million Switches during the 2018 calendar year, bringing the hybrid console’s tally to 32.3 million units. Nintendo almost managed to inch past Sony in this past quarter, selling a whopping 9.4 million Switches during the October to December period. Surprise, surprise, it turns out Smash Bros. and Pokémon are big system sellers! It will be interesting to see if Sony can continue its dominance in 2019. Leading financial analysists are predicting the Switch will take the top prize this year, and that makes sense, as the PS4 is entering its final days, while the Switch should be hitting its peak. That said, Sony could still eke out a victory with some well-timed price cuts – expect the price tags for both the standard PS4 and PS4 Pro to drop $100 this year. You can get more details from Nintendo’s latest earnings report here, and a full rundown of Sony’s earnings will hit Wccftech shortly. What do you think? Was Sony’s 2018 victory deserved? Who’s going to come out on top in 2019?